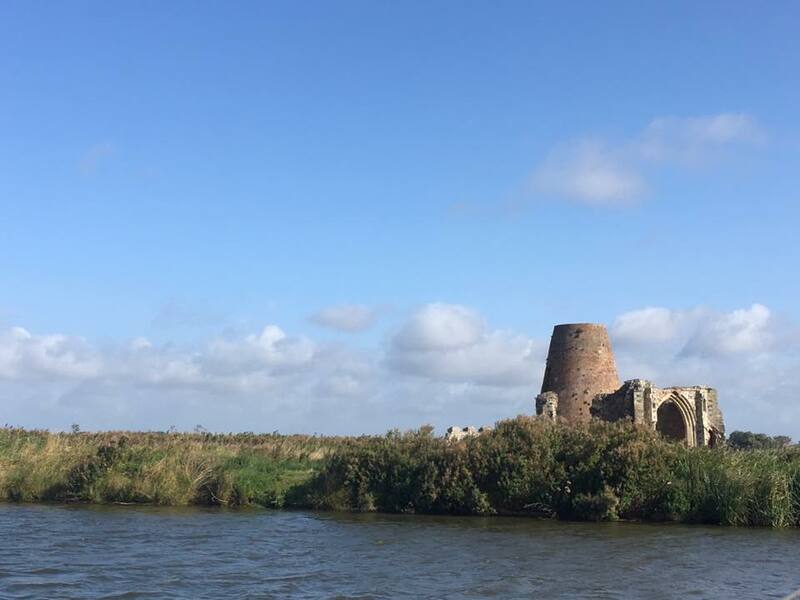 St Benet’s Abbey- Located on the banks of the River Bure are the remains of a 1000 year old monastery & the easiest way to get to it is by boat! The monastery was the only one not officially closed during the dissolution of the monasteries by King Henry VIII in the Tudor times. Guided tours are available on selected days during the summer months & free moorings can be found alongside the Abbey. Toad Hole Cottage – Located at How Hill on the River Ant is the tiny marshman’s cottage. Toad Hole Cottage would have housed a whole family in the Victorian times. 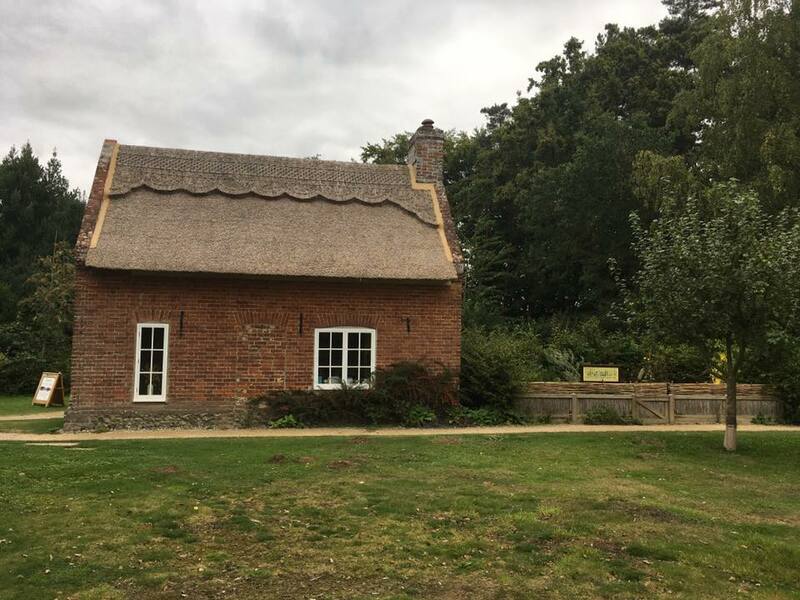 Today, the preserved cottage shows visitors how the families would have lived and how they would have worked on the marshes of the Broads. Free moorings are available right outside How Hill & entry to the cottage is free of charge. 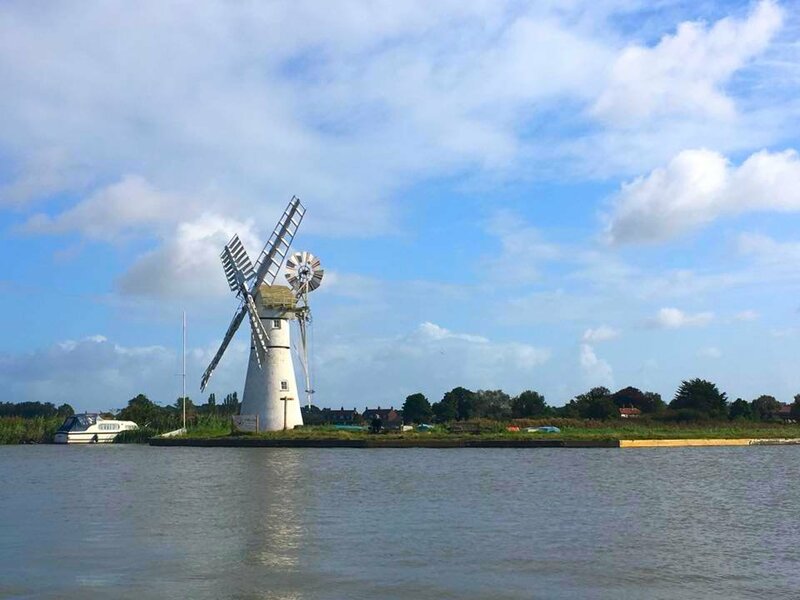 Thurne Mill – The only white mill on the whole of the Norfolk Broads sits on the east bank of the River Thurne. At over 200 years old, Thurne Mill is one of the small handful of working mills still left on the Norfolk Broads. The mill runs open days several times throughout the year for those who wish to look around inside and learn about the history. A small donation is very welcome and moorings can be found within easy reach of the mill. St Helen’s Church – Also known as the ‘Cathedral of the Broads’, St Helen’s Church is located at the village of Ranworth. The grade I listed church dates back to 1450 and features an extremely popular church tower. 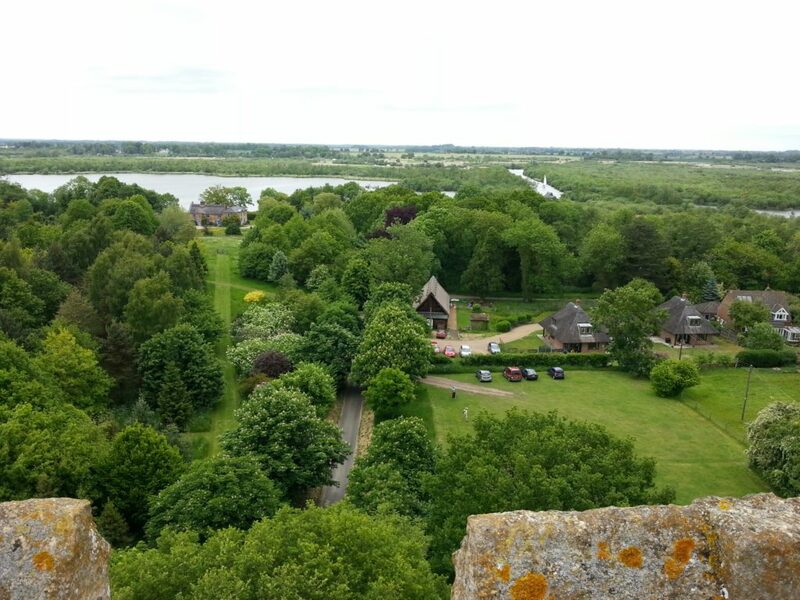 The tower offers fantastic views across the River Bure and the 5 broads; visitors will just have to tackle the 89 steps, 2 ladders and the trap door first! The Church is open daily and is close to the moorings at Ranworth Broad. 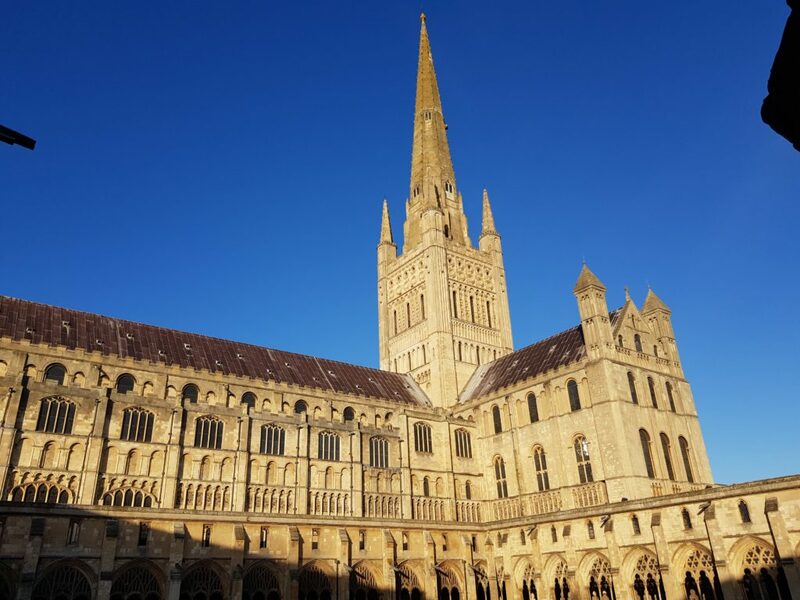 Norwich Cathedral – Set in the heart of Norwich City Centre, the cathedral is the second tallest in England with a 315ft spire. The Norman cathedral was built over 900 years ago and is Romanesque in style. A pair of breeding peregrine falcons made the cathedral their home in 2009 and still return each summer. Volunteer guides offer tours for visitors to the cathedral frequently throughout the week. The best moorings to visit Norwich & the cathedral are located at Norwich Yacht Station. 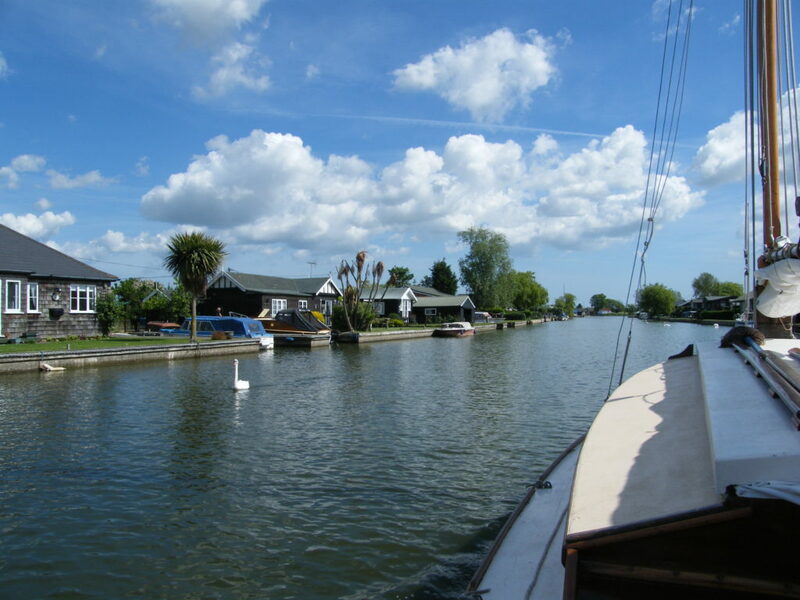 To search for your Norfolk Broads boating holiday, search: www.waterwaysholidays.com/norfolkbroads.htm or call us on 01252 796400 for friendly boating advice. This entry was posted on January 17, 2019 at 11:42 am. You can follow any responses to this entry through the RSS 2.0 feed. Both comments and pings are currently closed.